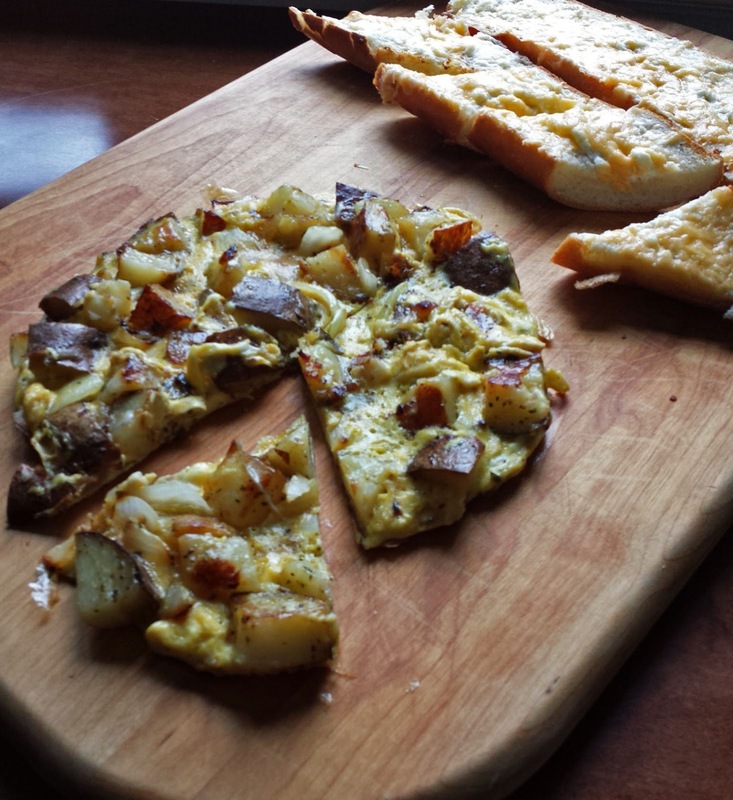 Do you eat breakfast for breakfast or do you prefer breakfast for dinner? I love breakfast for dinner; sometimes I’ll have breakfast for lunch, but I rarely eat breakfast for breakfast. Truth be told, I prefer above all else, cereal for breakfast. Hot cereal or cold cereal, if it’s not served in a bowl with milk and eaten with a spoon, I don’t want it for breakfast…so there! Even if we’re going out for brunch, I will eat a small bowl of cereal when I wake up so that brunch really just becomes early lunch. I feel especially grateful that Billy also loves breakfast for dinner, cuz I know that there are a lot of fellas out there that consider eggs or pancakes breakfast food only! So I made a Southwest Sweet Potato Hash, and we had it for dinner, and it was satisfying, delicious and nutritious. It’s got vitamin rich sweet potatoes, fiber filled black beans, tasty green chilies, protein packed eggs, and nutrient crammed creamy avocado which also has good fats. There is so much flavor going on in this hash that the eggs don’t even need cheese; coming from a cheese lover that’s sayin’ sumpthin! You know what else I love about making this dish, is that I used only one skillet, so that this lazy daisy has almost no dishes to wash! Start with cooking a diced sweet potato with just a little water in the bottom of the skillet, cook until the water has evaporated and the sweet potatoes are about half way cooked through. I don’t have a microwave or I might have par cooked the sweet potatoes in a microwave instead of cooking them in the water; you could also use leftover baked sweet potatoes. ...As well as some diced onion, season with salt and pepper and sauté until the sweet potatoes have browned and are tender. Remove the cooked sweet potatoes to a platter and keep warm. I just use the same skillet to heat some black beans through. Put the black beans and some diced green Ortega chilies over the sweet potatoes and keep that warm while you cook some eggs. I like scrambled egg with a hash, but you may cook the eggs however you gosh darned please! 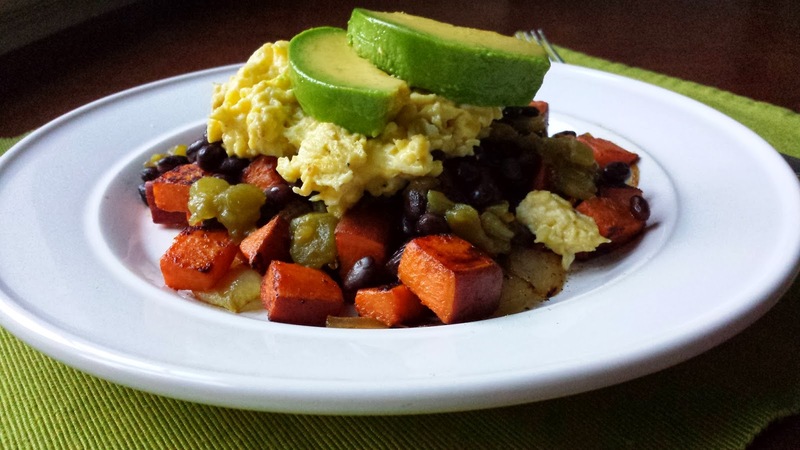 Put the eggs over the sweet potatoes and black beans and serve with some avocado slices and/or salsa...Yummo! 1. Add the sweet potatoes to a skillet with the water and cook between medium and medium-high heat, stirring occasionally until the water evaporates and the sweet potatoes are about half way cooked through. 2. Add the onion and olive oil and season with salt and pepper, sauté until the potatoes have browned and are tender. Remove to a plate and keep warm. 3. Heat the black beans in the same skillet, when they’ve heated through pour them over the sweet potatoes and top with the green chilies and keep warm. 4. 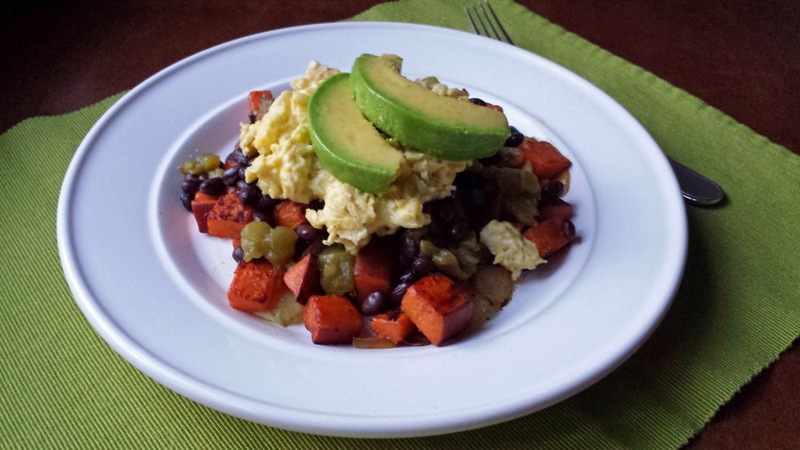 Cook the eggs the way you like and then lay them over the sweet potatoes and black beans. Top the salsa and sliced avocado. Note: You may par cook the sweet potato in the microwave or use leftover baked sweet potatoes, in that case omit step 1. This is EXACTLY the kind of breakfast/lunch/dinner hash I like to make! So flavorful and delicious! Love me them sweet potatoes! I like breakfast for dinner sometimes to mix things up! What a great dish!